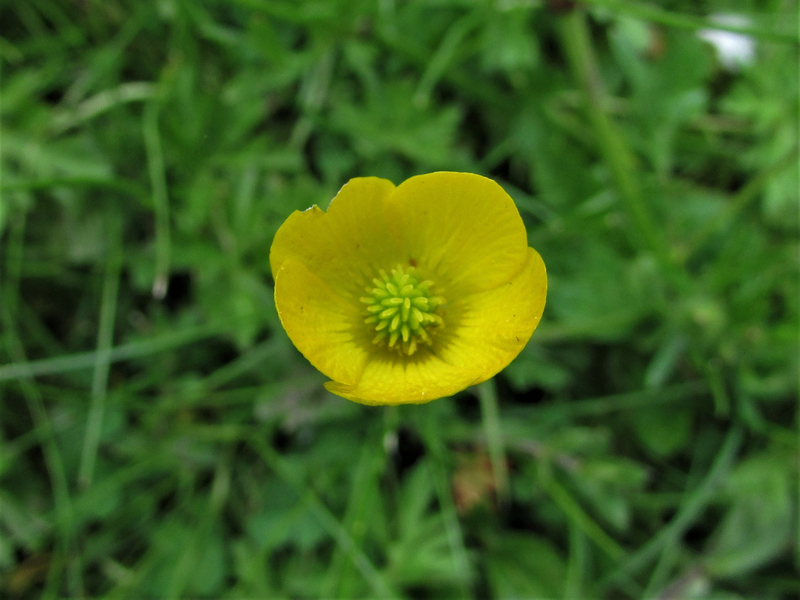 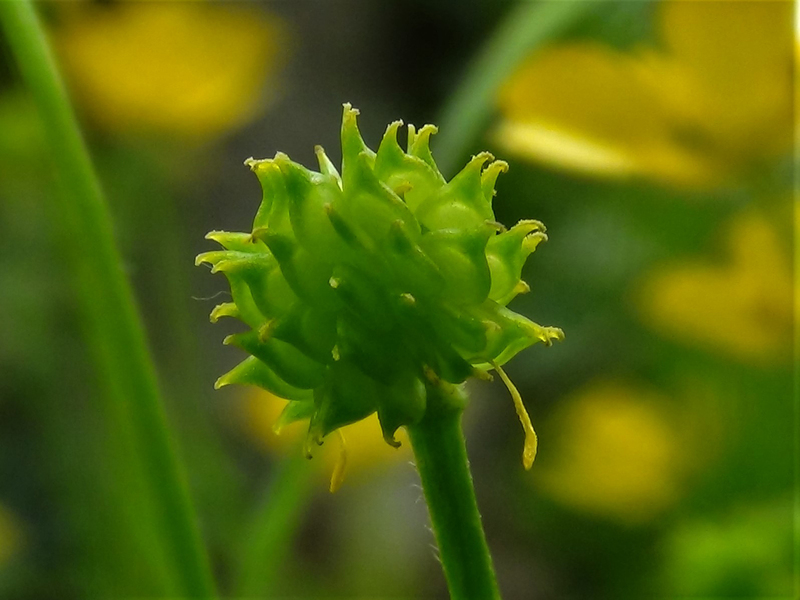 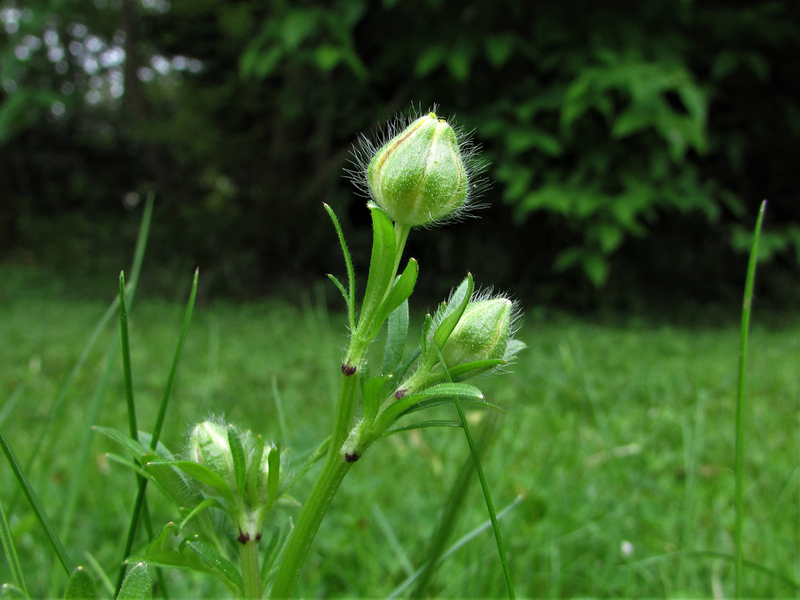 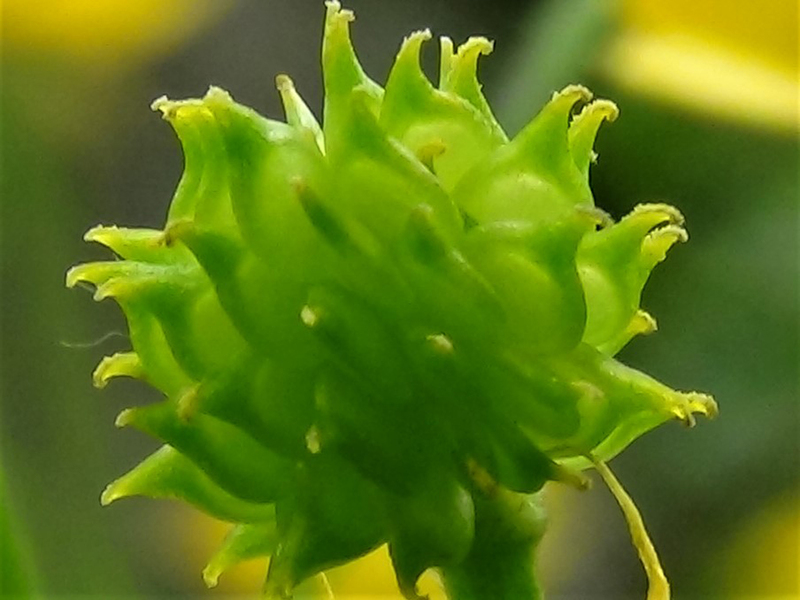 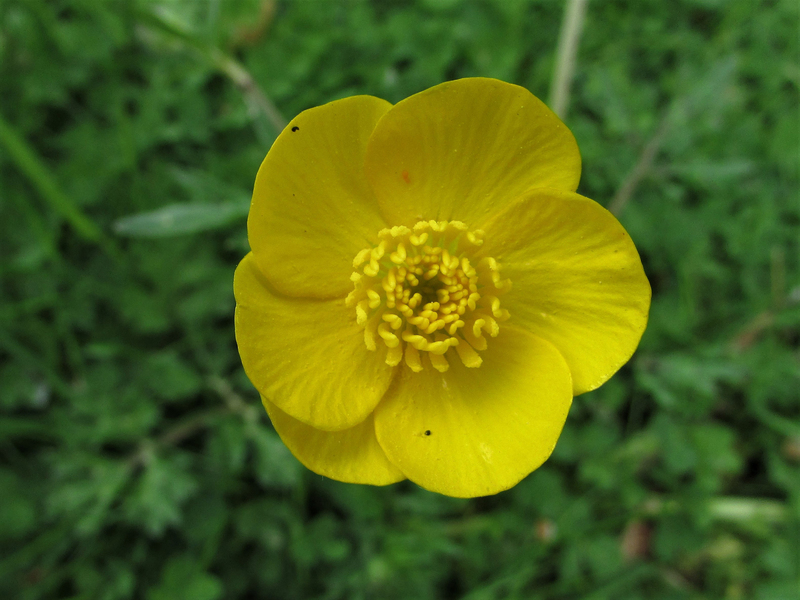 A buttercup flower with the fruit starting to grow from the middle. 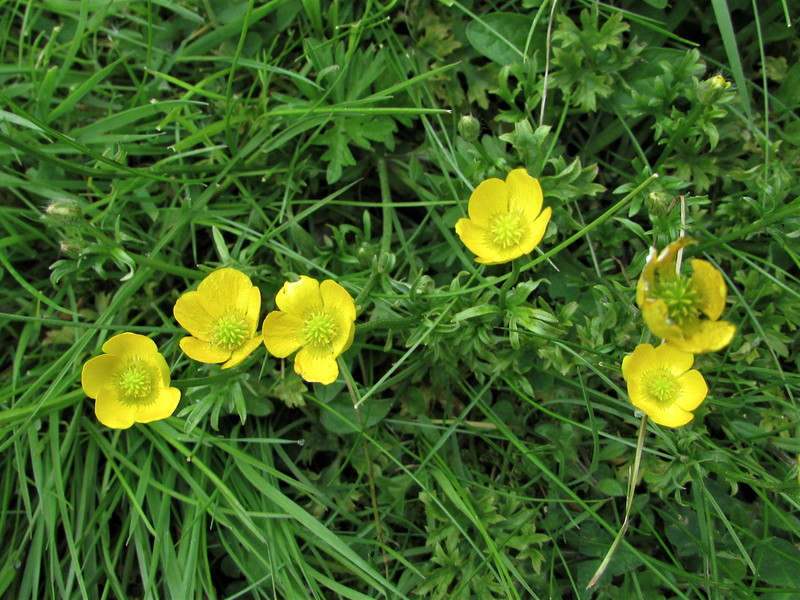 There are many different Buttercups so we are covering them all here as they all look very similar and none are edible. 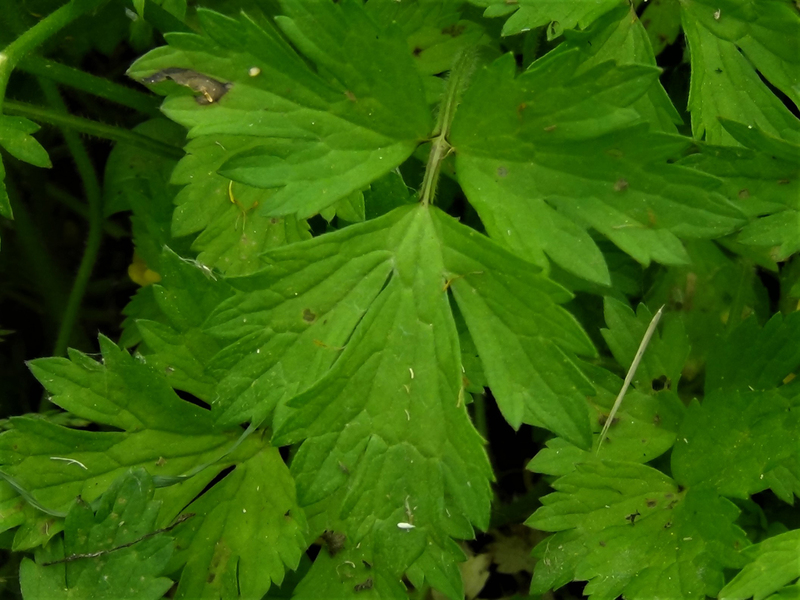 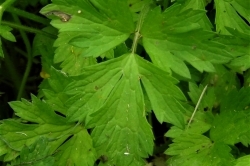 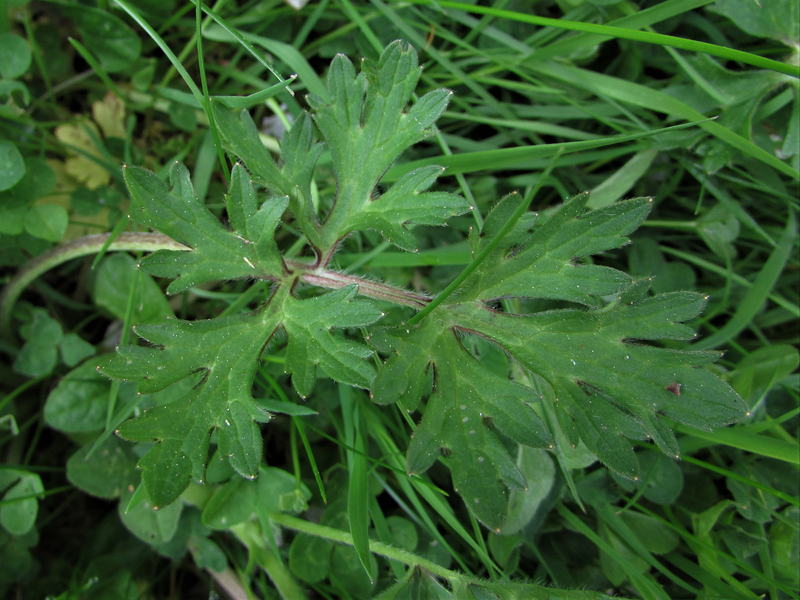 The hairy leaves are palmate, divided into three to five lobes and have an overall triangular shape. 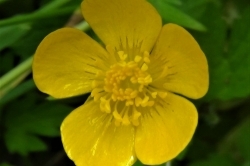 A bright yellow petaled flower with a cluster of bright yellow stamens. 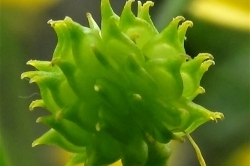 The fruit is green and ‘spiky’ and looks like a small horse chestnut in its husk. 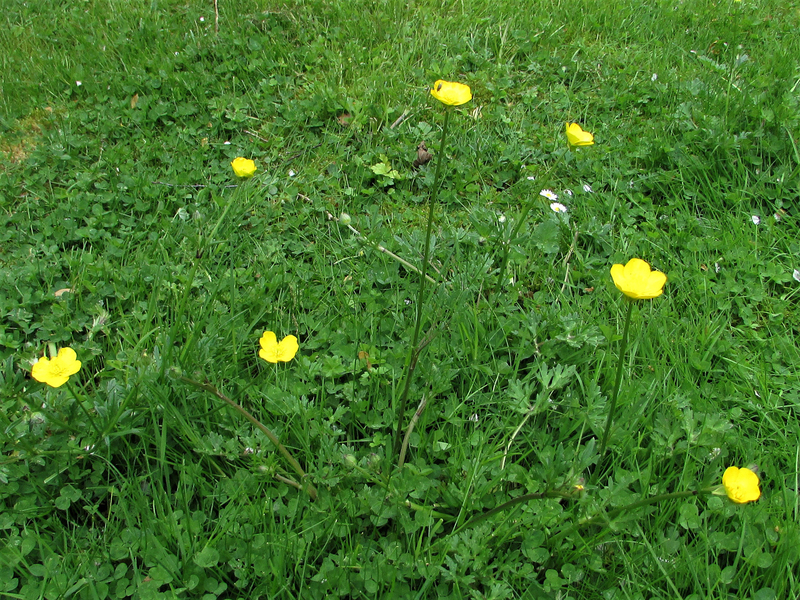 Lawns, fields, parks, meadows, wood edges, waste ground and almost anywhere they can get a foothold. 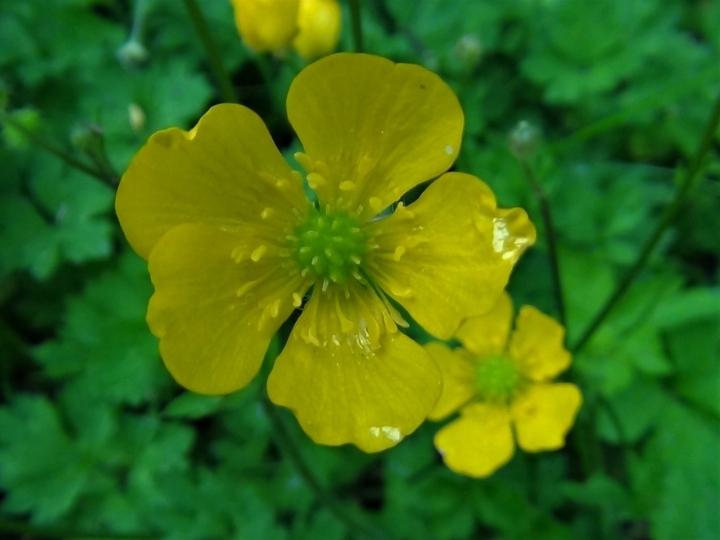 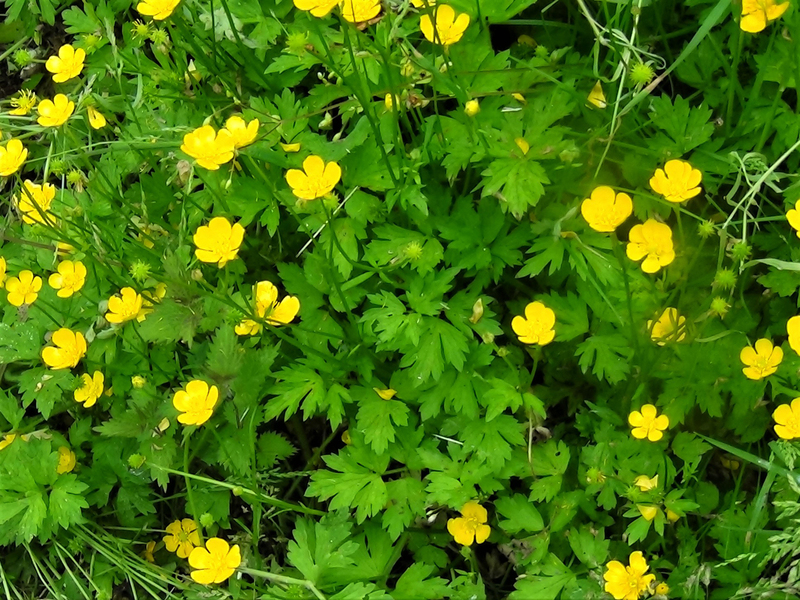 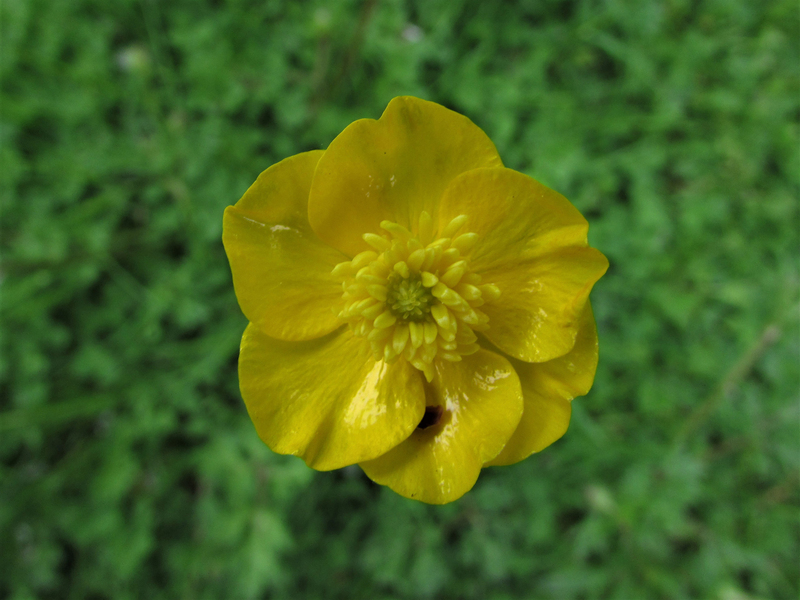 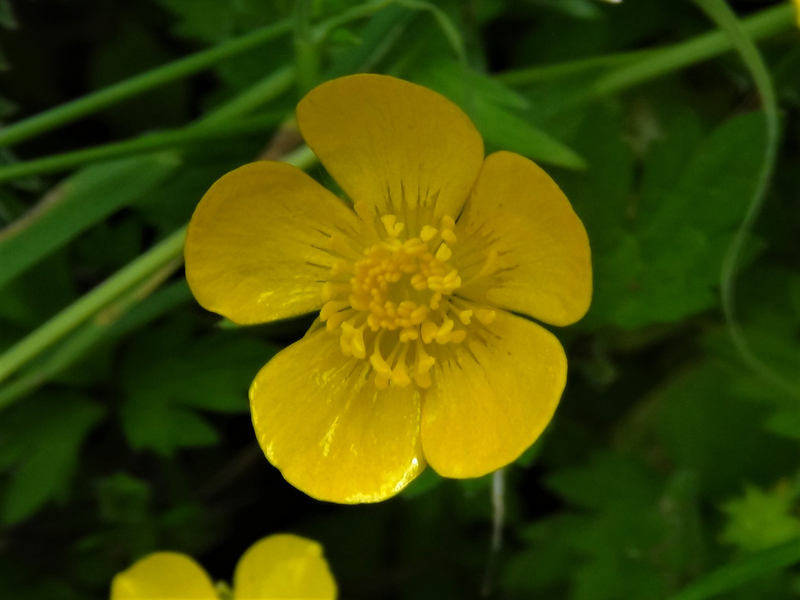 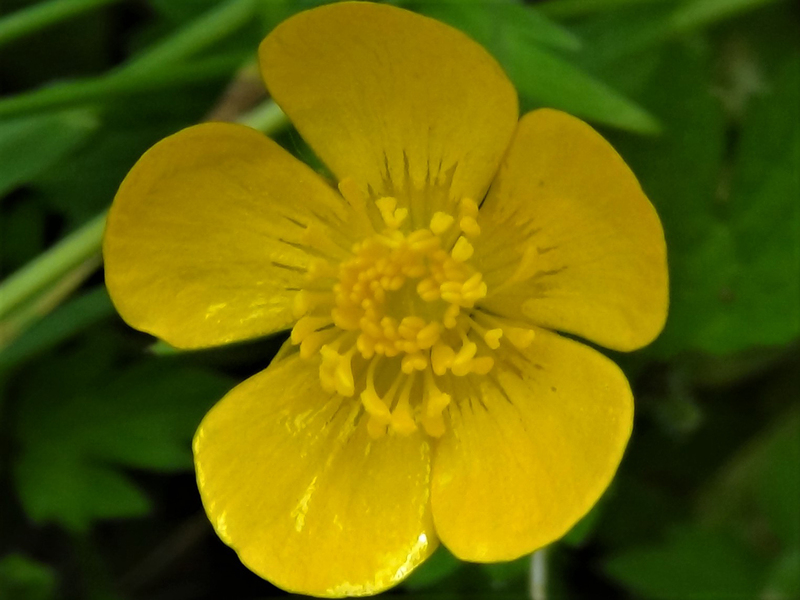 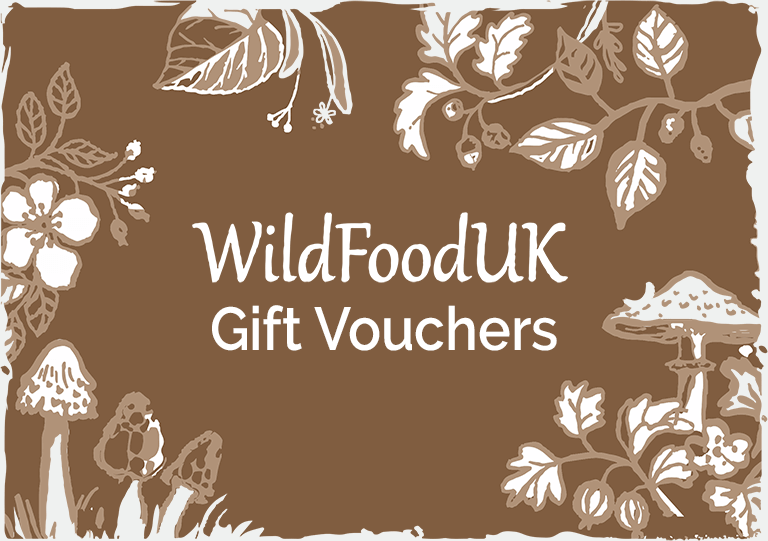 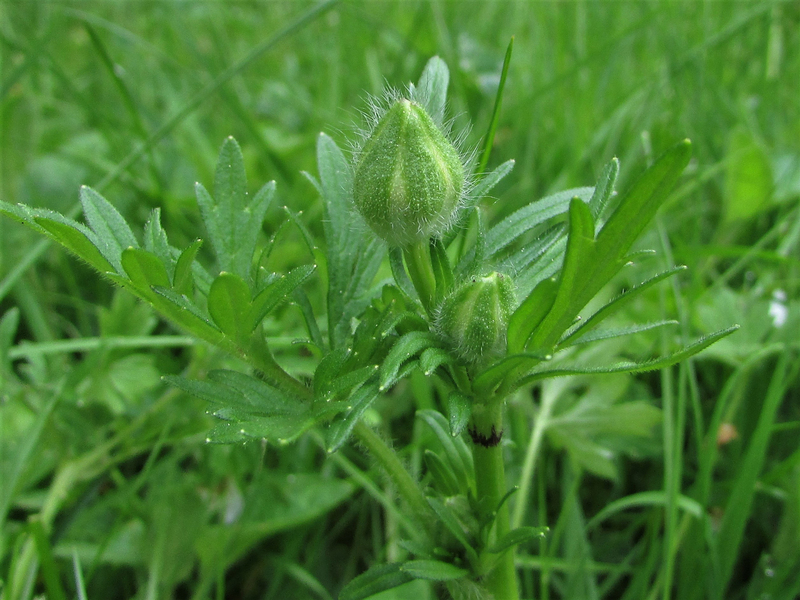 Buttercups have been used in the past to treat rheumatism and fevers. 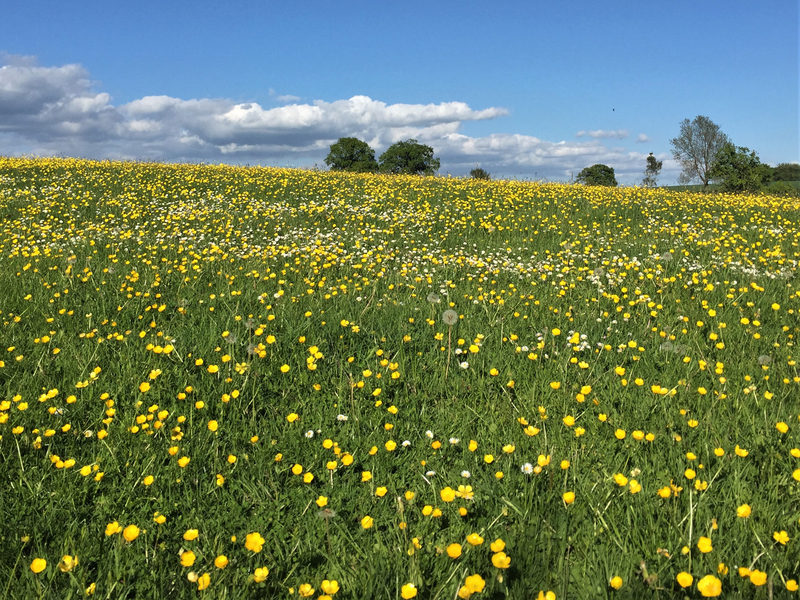 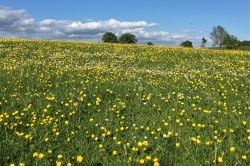 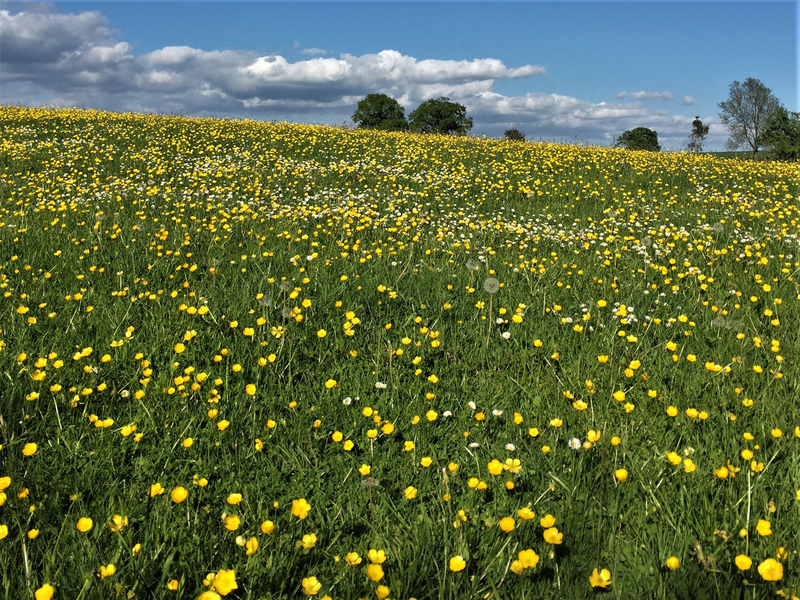 The toxins in Buttercups are harmless after drying so are edible to cattle in the form of hay, when fresh the plant can cause blistering of the mouth or skin so is rarely eaten by animals in the field. 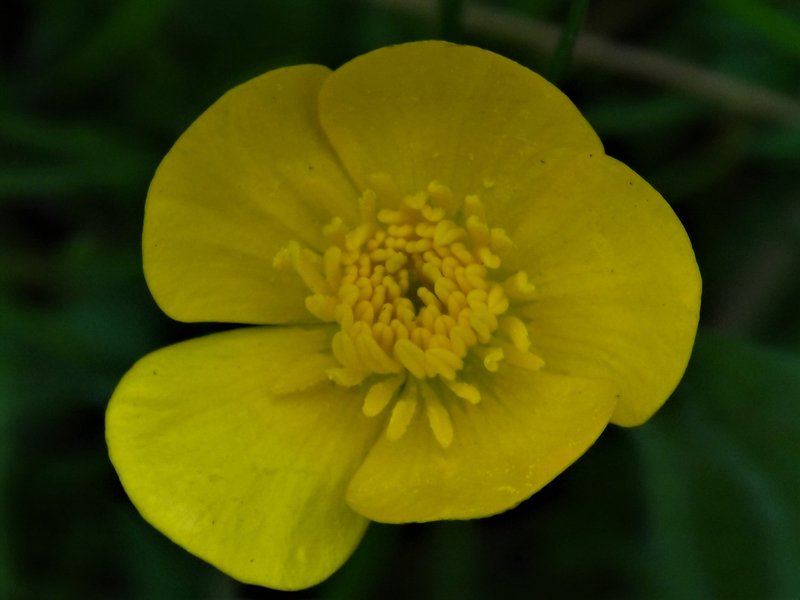 It was thought that the colour of the flowers got into the milk the cows ate giving rise to yellow butter.